Chao Yang, 10" x 2"
I’m told that the I-MAX S1 comes in two configurations… the standard S1 with a 250 watt motor and 15.5 mph top speed (to comply with European law) and the S1+ reviewed here which delivers a 500 watt motor and can reach 20 mph for the USA. 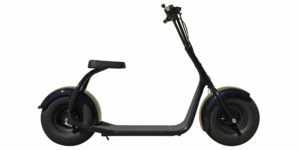 The added power output of the motor combined with an impressive 48 volt 10 amp hour battery makes for an electric kick scooter that’s on par with a lot of full sized electric bicycles! For the video review I got some help from Sam Townsend of the Electric Bicycle Center in Fullerton, CA and had him ride it around on video. Sam is a ~260 lb (118 kg) guy and while we didn’t have a hill to shoot on the scooter had no trouble zipping him up to speed. It’s powerful but near silent because the motor is a gearless direct drive design. You don’t get the same light weight, compact free-wheeling performance as a geared hub but gearless designs tend to be tougher because it’s just magnets repelling electromagnets inside. One downside is a bit of cogging (drag when coasting unpowered) so I would definitely avoid running out of juice with this thing because you’ll be fighting the motor and pushing ~40 lbs with each kick. 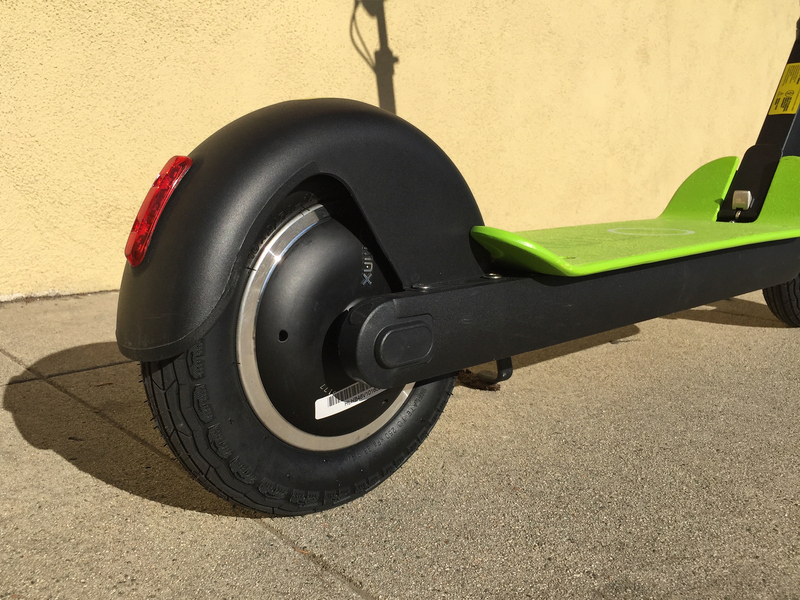 It’s one of the heaviest electric kick scooters I’ve tested to date. The higher price point reflects the quality of the S1 and it did ride nicely. 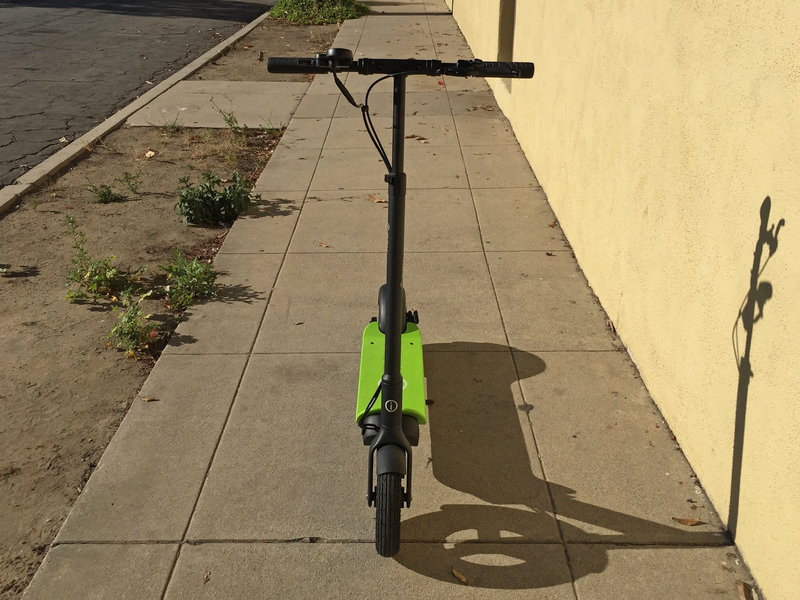 It’s one of the quietest electric scooters I’ve ridden on, even across very bumpy street terrain with potholes. 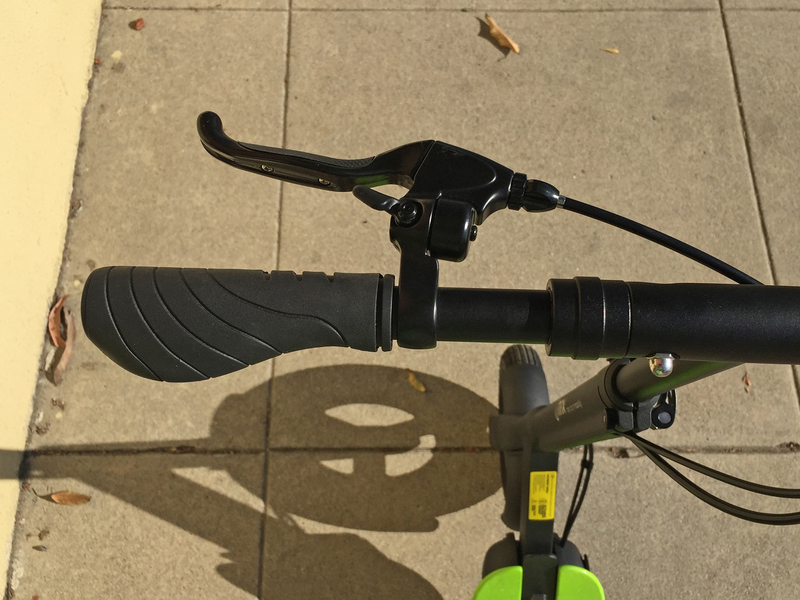 The scooter feels solid with a variable-height stem using a quick release clamp like a lot of bicycles have on their seat tubes. Just make sure to tighten this thing down so the bars don’t drop unexpectedly when braking. 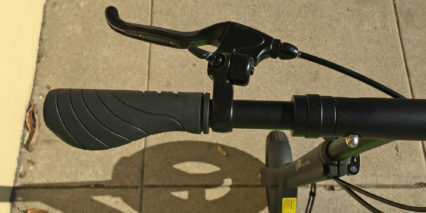 The actual handle bars fold out nicely and use metal parts that feel solid. They are fairly long and don’t rattle a lot but I wish the sliding cuffs that lock them into place were spring loaded and moved more freely. I guess that’s the trade off for not rattling… I had a bit of trouble with the left cuff during my pre-review folding/unfolding tests. 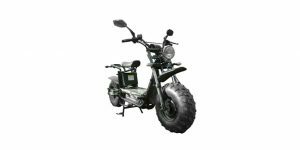 Because the IMAX S1 uses pneumatic air-filled tires with plush a 10″ x 2″ size, it rides comfortably even without suspension and this also contributes to the quiet operation. I’m a fan of this design because there are fewer moving parts and the air cushion is more comfortable than most of the short-travel springs on competing products with solid tires. Of course, the trade off is potential for flats… I recommend buying a tube or two extra just in case you get a flat because the size is unique and I haven’t seen them being sold at Walmart, Target or even most specialty bike shops. Sounds like each tube is $15 so that’s reasonable and you could consider adding some Slime to slow leaks if you have a long commute and carry a mini-pump along. Other things I liked about the S1 were the steady disc brake with enlarged 140 mm rotor and the brake-activated LED back light. 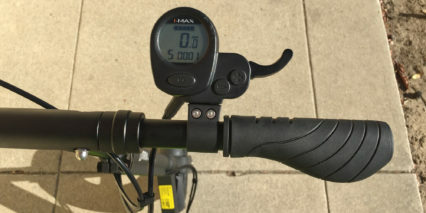 I’d love to see a headlight as well but love the integrated USB port on the back of the display because you could charge your portable electronics or charge a bar mounted headlight. By mounting the light higher up you’ll be more visible anyway and can get something like this that’s much brighter than most integrated lights I’ve seen but still easy to mount or take off. 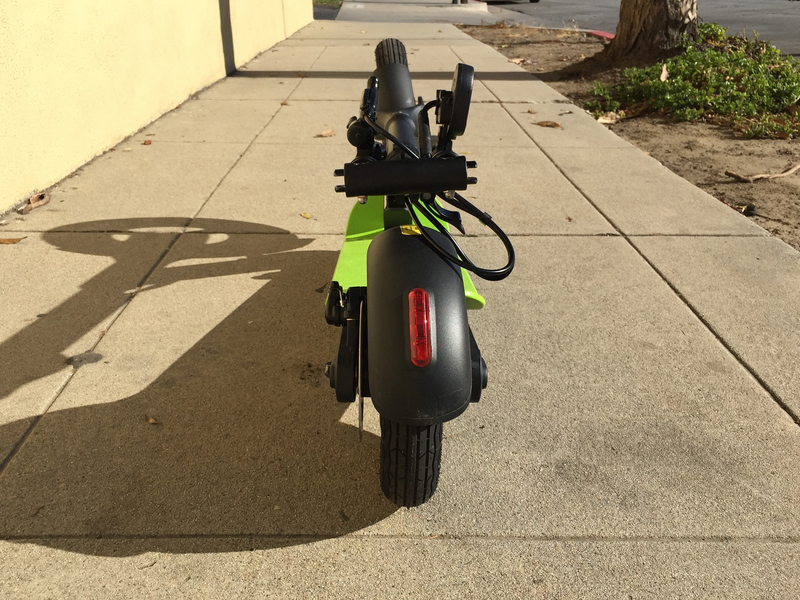 Consider a backpack light or helmet light as well… Sorry to put so much emphasis on safety, the higher speed, lower body position and limited visual footprint of electric kick scooters always gets me going. So I like the ergonomic grips and the extra large deck (I could put both feet side by side facing forward without an issue on this thing). One downside of the deck and fenders is that I struggled to put both feet inline on the deck and found myself resting my rear foot on the back fender which isn’t very solid. 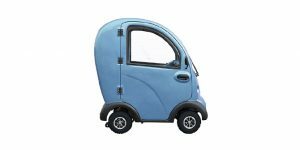 It would bend and rub on the rear wheel a bit creating a buzzing noise whereas some other designs are more solid and act as a foot rest. All things considered. The S1+ delivers power, speed and range (though I didn’t test it to capacity). You can get the best range by accelerating slowly and using one of the lower power levels (there are five total). 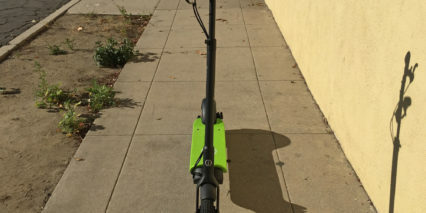 This is a kick-scooter that requires you to push off and get going ~2 mph before the throttle will even activate so that alone reduces the drain on the pack but isn’t as satisfying or easy to do if you’re loaded up with a back pack or facing a hill. In my opinion, even though it is “powerful” relative to competing products, it’s still not going to haul you up a steep hill, especially if you weigh a lot. Don’t let the 500 to 750 watt rating convince you that it’s unstoppable because that’s just not true. It’s still best to get some speed going into hills and avoid the really steep stuff. In those cases, at least you can fold it up quick and drag it along using the front wheel like a handle much like the Glion Dolly but not quite as fancy. First thank you for your excellent work with the rewiews. 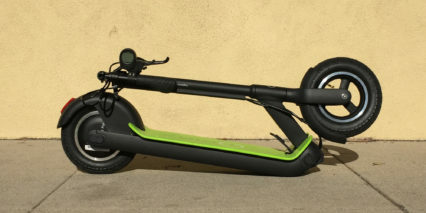 I want to ask you witch is the best electric scooter in your opinion. I know it’s so relative and it depens for the usefull but in general? And do you how can I buy Imax s1 in Europe? Thank you so much man! Hello, good review. Additionaly I will inform all readers of your webside that there is a similar product under a different brand (name). As far as I could see the I-Max S1(+) and the Egret Ten are exact the same products. Altought the Patgear offers a different deck color and is a bit more expensive. At ADRIA the egret Ten is available in Europe here. Hi there! Love your reviews and thanks for the review of the S1+, I am debating this versus the Momas right now. One point that you mention in this review and in the video about the extra tubes. Where do you get these tubes online? You mentioned they are $15 but I can’t find any on Magnum’s web site. I am really close to ordering the S1+ but I definitely would like to have some extra tubes ready to go. Thanks! 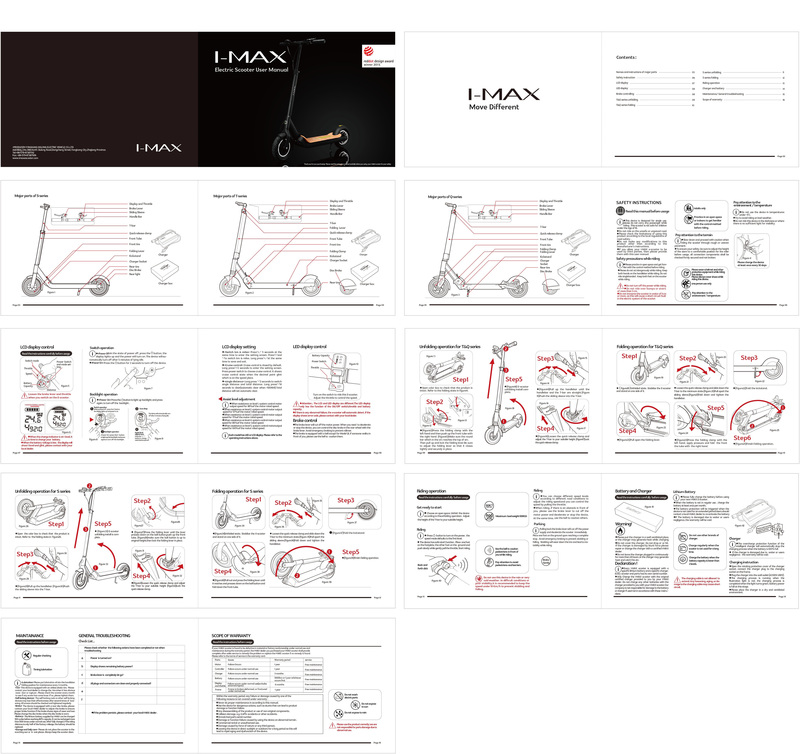 The I-Max s1 does seem to be a rebranded for the US version of the Egret Ten as Hyper777 mentions. More usefully they also offer extensive accessories and spare parts. Awesome, thanks for the link Ivar! The way I understand it, most ebikes and other light electric transport products are built in Asia but sometimes custom designed in the US, Germany or elsewhere. Eventually, the product ends up in multiple markets (much to the chagrin of the people who tried to create something unique). It’s not always the case that design originates elsewhere but when it does, the multi-brand multi-market situation can be frustrating. I wonder what the case is here with the I-MAX S1? Hello! Great Review! I just have a one question. Is this S1+ the most advanced and best one out there? or is there any better one? in terms of battery size, speed, weight, distance. Thank you! 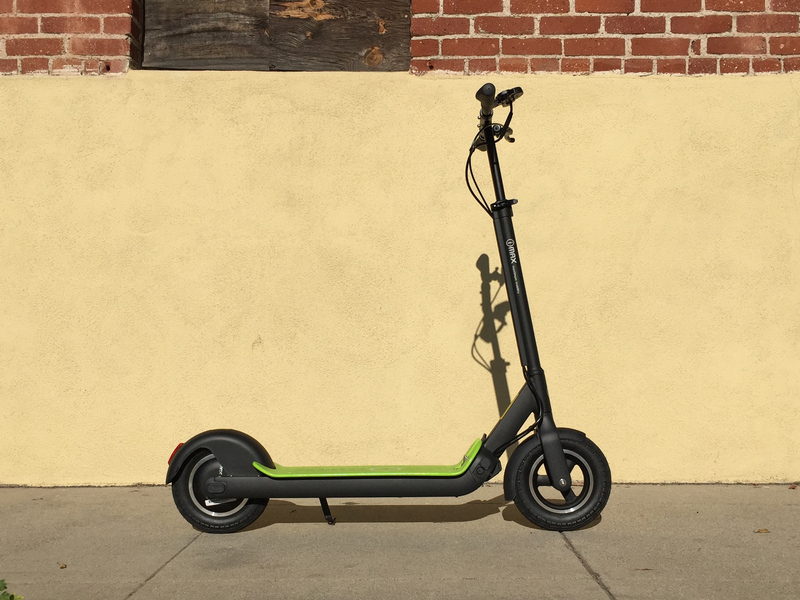 It’s one of the nicer, more powerful scooters I have seen so far but there are lots of others that I just haven’t reviewed, some from smaller companies that just aren’t available in the US yet. I’ll keep reviewing though and in the mean time you could ask around in the forums here. Build quality: A+. Materials are top-notch and solid. Comfort: A+. The large air-filled tires make a huge difference. It’s also much, much safer than the solid tires, as you can stop on a dime when necessary. 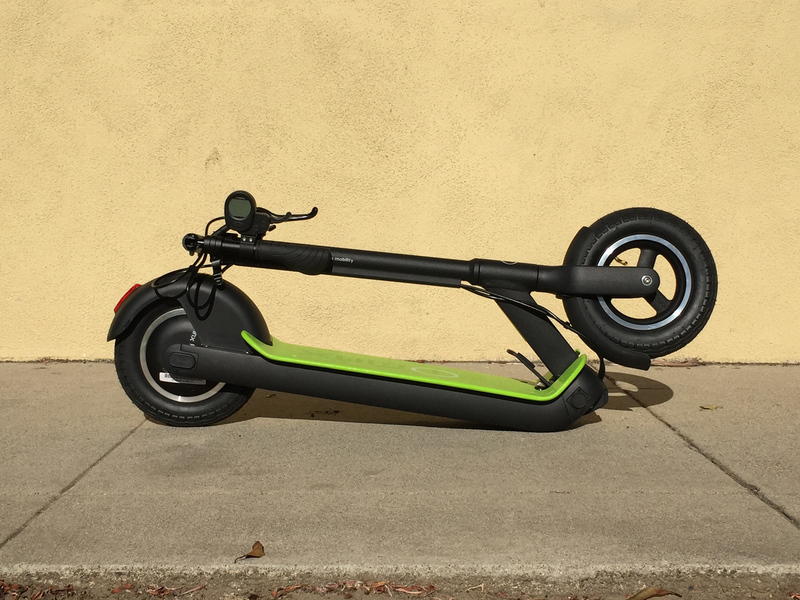 With the Ecoreco, if you’re going full speed and need to stop quickly, you can’t — you will end up skidding/sliding. Brakes: A. I love the mechanical disk brake. Much smoother than the Ecoreco brake. 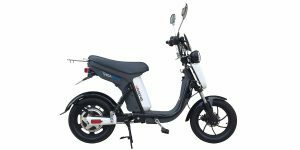 Personally, I would never purchase a scooter with regenerative brakes like the USCooter/ETWOW, as it’s way too unpredictable. I wish it had front brakes though. Power: A. Much more power than the Ecoreco. It’s faster on flat ground, and even faster going up hills. 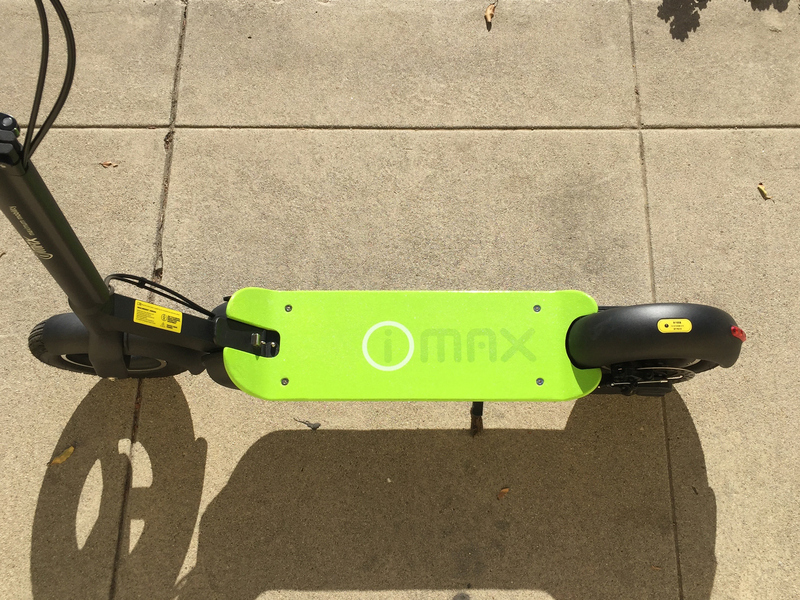 I’m about 200 lbs, and I fly up relatively steep hills doing 16 mph on the I-Max. 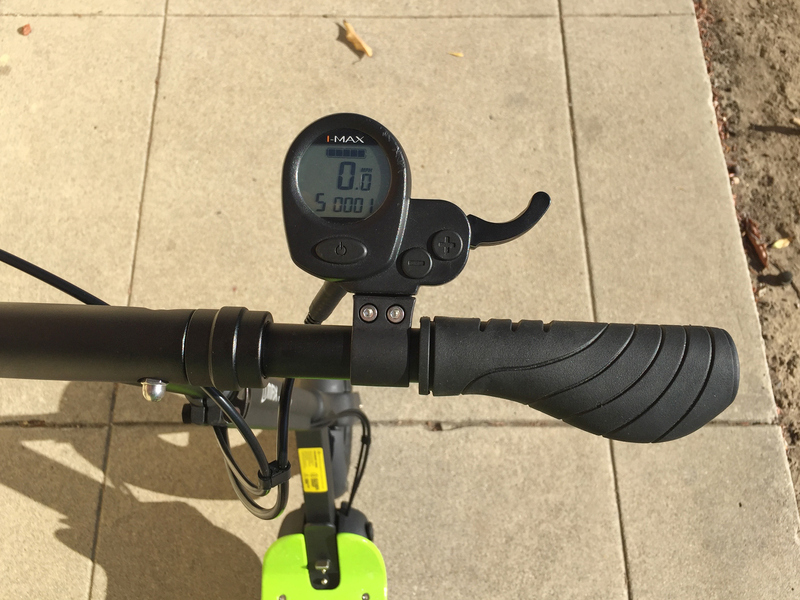 Distance: B. It’s about the same as the Ecoreco, which, for me, is about 10 miles on a full charge on NYC streets. Thanks for the great work on the reviews — I wouldn’t have discovered this amazing product otherwise! Hey! 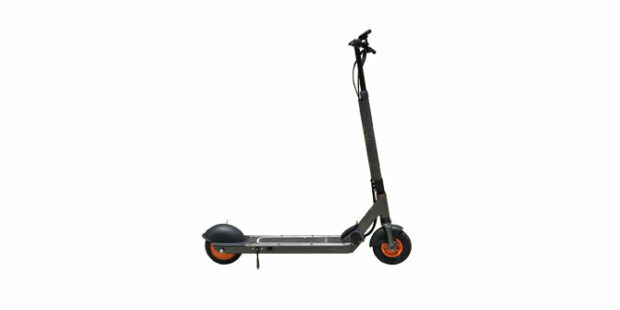 Do you know what the travel restrictions are, if any, for transporting an electric scooter on airlines? Can you check it just like a standard checked bag? Additional fees? Is it even allowed at all? 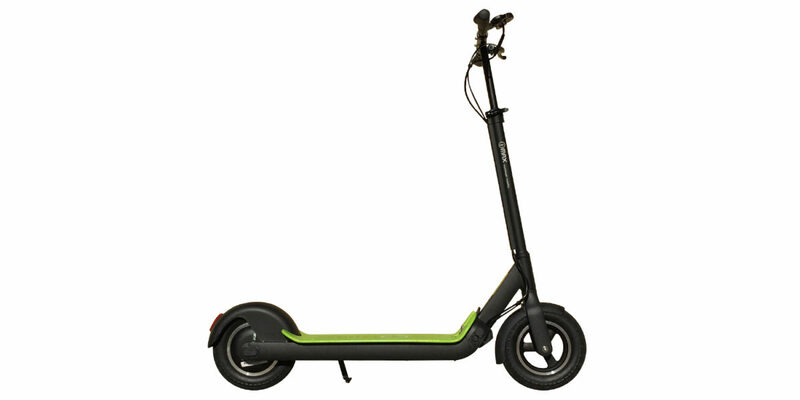 Also, out of all the scooters you’ve tested and recommend, which one(s) have the longest range? Thank you! Great question! I haven’t tried, seems like the regulations for flying with Lithium-ion batteries are changing a lot, would be best to check with your airline first. I’d love to hear what you find! FYI. Just ran the scooter flat out, full speed until the battery indicator was flashing and it slowed down a bit. I didn’t wait for it to cut out, not sure if it would. The riding was mostly flat, but with some hills thrown in. I used cruise control at the maximum speed almost the whole time. I got over 22 miles of real gps measured range. I’m 137 lbs, so your mileage may vary. Rode this one a few days ago at my local park. 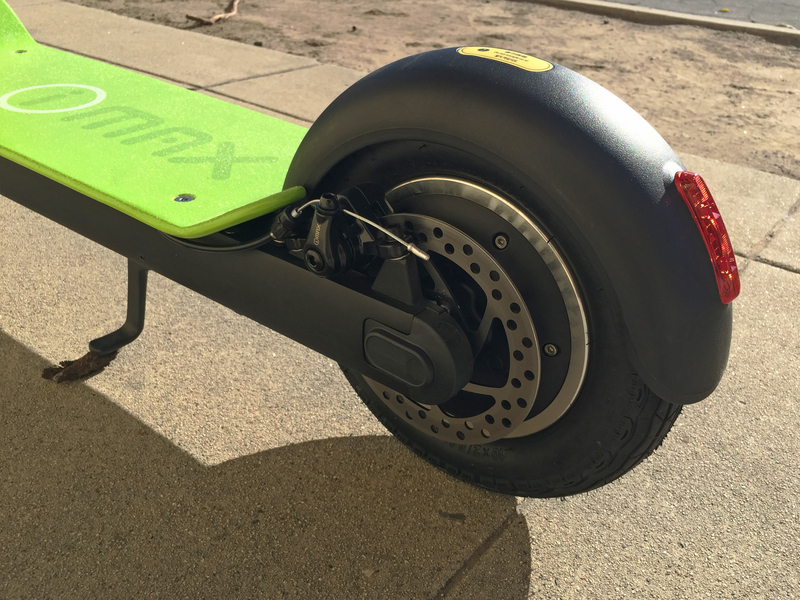 Amazing ride and build quality is A+ like the 1st reviewer. I’m still shocked how quiet it is. The park is 100 feet from my house so I see and hear a lot of scooters. I wish I didn’t watch the video … now I want one. I own 2 cheaper units for my kids and thought it would be fun to have something for all 3 of us. Only bummer is they are made in China. I actually thought it was a USA made bike like the other 2 have. I’ve been riding an S1 for a few weeks now and figured I would share my initial thoughts: First off, the build quality is surprisingly high for a product made in China. Everything from the welds on the frame to the folding mechanism and braking system are all very robust and feel very nice. 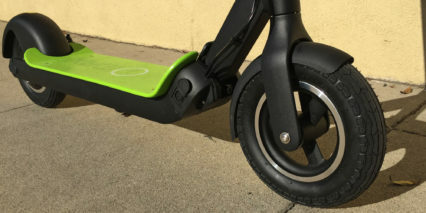 I am a stickler when it comes to low quality devices and I honestly can’t find many areas where corners were cut on this scooter. Battery range appears to be very good as well, I’ve done a few 15 mile rides and still had 2 bars left on the battery meter. I would guess 20 miles would be about the limit for a full discharge of the battery. Motor power is decent but not mind blowing. 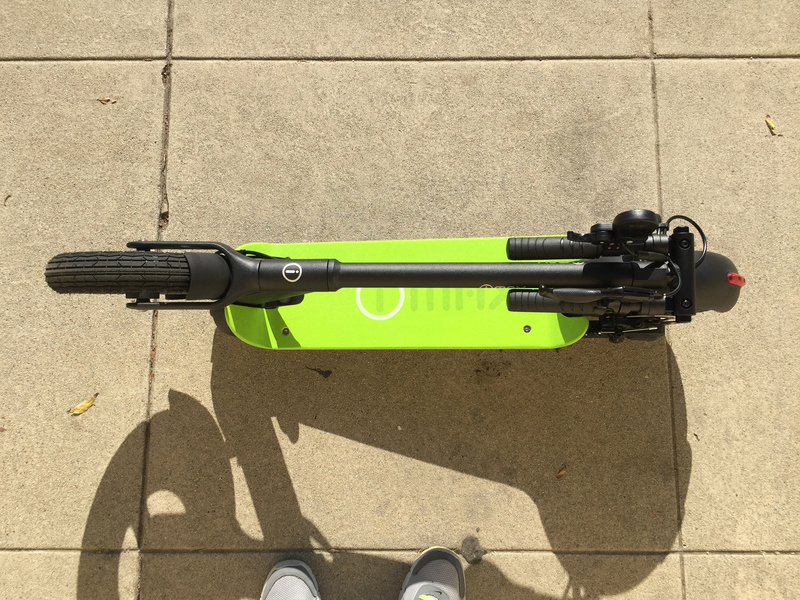 I’m coming from an electric skateboard background with boards making 2,000 watts of power so I knew this scooter would feel less powerful. However, the hub motor on the S1 does its job and takes me up decent hills while only losing a few miles per hour. 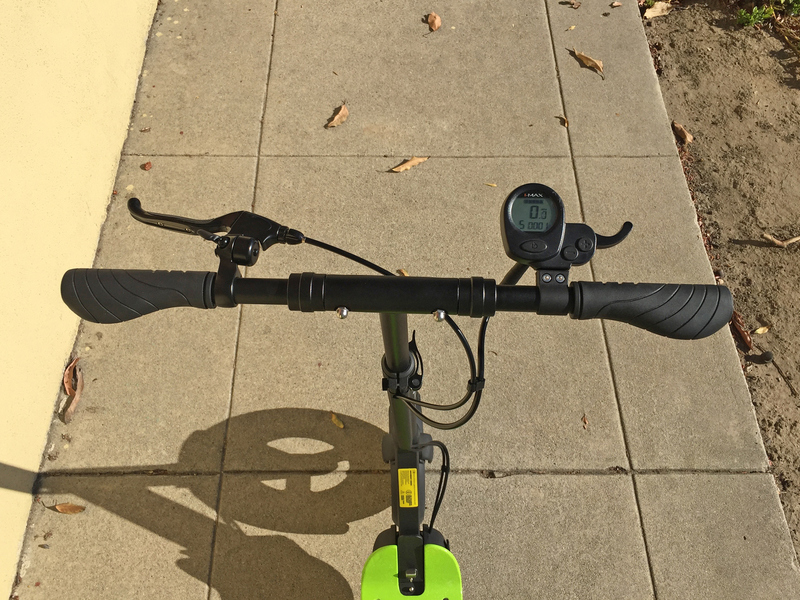 Top speed appears to be around 20mph as indicated on the scooter which equates to about 19mph according to a GPS. 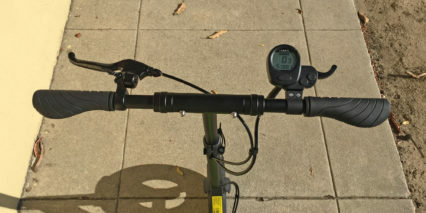 By lowering the handle bars and getting into an aero tuck I was able to reach 22mph on flat ground as indicated by the scooters speedometer. The cruise control function is very handy and reduces hand strain from having to hold down the throttle for extended periods of time. 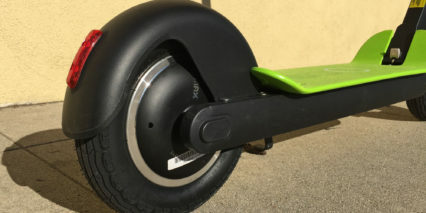 Handling is also a strong suit of the scooter, the air filled tires roll over bumps and cracks with ease and the scooter feels planted in high speed corners. 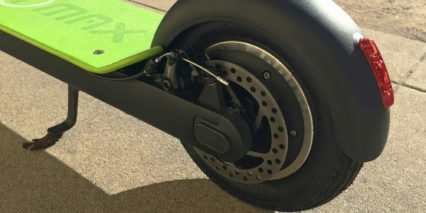 Finally the rear brake is very strong and will bring the scooter to a stop in a controlled and safe manner. Overall, I highly recommend the S1. I have two of these now for almost a year and man they are just AWESOME!! 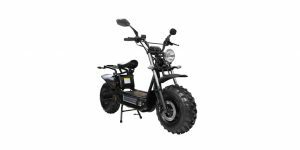 I ride with my son and I weigh 245 and it pulls me GREAT we had bought ecoreco’s but that thing could barely move me this thing now wow is just awesome and the bigger tires are so much better and safer I feel. 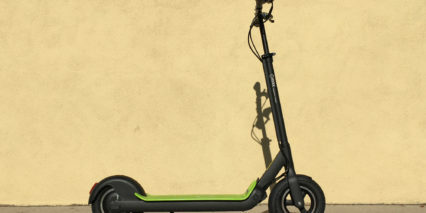 Go get this scooter!! Yet another great review and Sam certainly knows his stuff. I bought an I-max S1+ last week, locally in Vancouver, BC. They now have an 11.6AH battery as opposed to the 10AH previously. I guess it will give another couple of miles or so of distance. I would also like to give a shout out to ‘Urban Machina’, which is the distributor in Vancouver. Ambrose and Olivia are very knowledgeable about this scooter and the Inokim line, which they also sell. 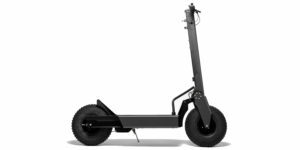 I would be very interested to hear some extended, long-term feedback on these electric scooters. How well do they hold up over time? How hard is it to change out a flat tire (and find spares)? Do they break? Specifically, I’d like to know how this compares to the Momas 1.0 over time. 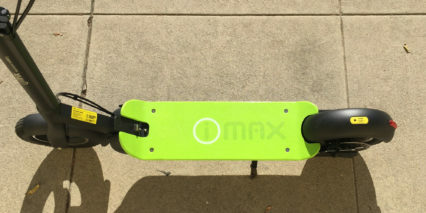 I bought the IMax S1 Scooter in October of 2016. 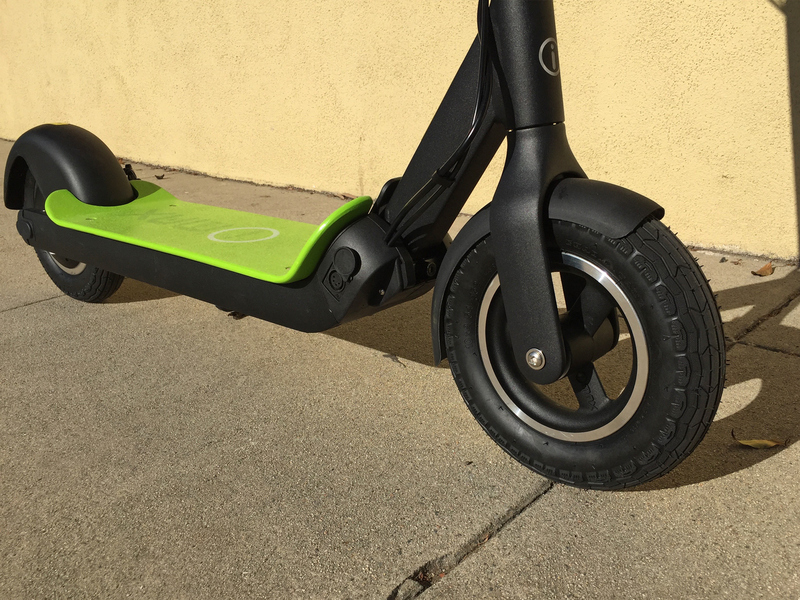 Within a month of buying it, the battery stopped working during charging and required replacement or a new scooter. 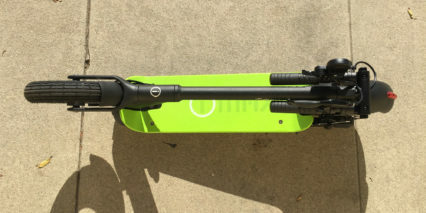 Since I was under warranty then, Magnum sent me a new scooter after a few weeks. The new scooter worked fine until about one month ago, with the exception of the steering bar being loose; they were not able to assist me in getting this remedied. Since there was no local support in the NYC area, I had to live with this issue for 2 years. When the scooter did work, it was a true joy to ride on. 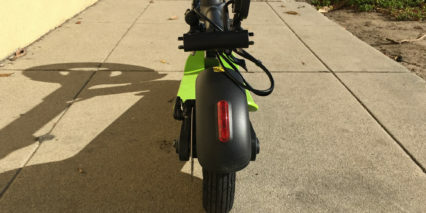 Last month however, after charging the scooter (for less than 2 hours), the battery seems to have been fried once again – with exactly the same symptoms as in 2016. I have tried to call and/or email Magnum support department many times in the last 30 days – to no avail. I am obviously out of my warranty period (beyond 12 months), so I attribute the lack of responsiveness to this fact. 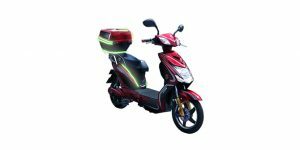 Having said that, I am extremely disappointed that I was only able to use the scooter for less than 2 years and with huge headaches since the outset. Not sure if I was just unlucky (2 lemons) or if this is testament to the sub-par quality of their top-of-the-line product.